Rob Barney to Deliver Talk On Hard Money Investing at the Lone Star Real Estate Expo - DHLC Investments, Inc.
Arlington, Texas– Rob Barney, owner of DHLC Investments, will be attending the Lone Star Real Estate Expo on November 12th to give a talk titled “Rehabbing with Hard Money: The Power of Leverage!” As a successful rehabber, landlord, mentor, and hard money lender, Rob’s talk will inform attendees about ways they can profitably leverage hard money investments to buy, flip, and sell real estate. Rob will offer important tips to potential real estate rehabbers, teaching them ways to make more deals but risk less money to successfully maximize their profitability when working with hard money lenders. Rob Barney started his career in real estate and real estate investing after buying in his first property in 1998. 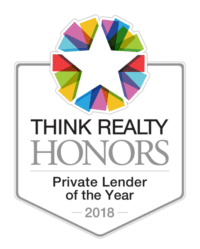 Rob is now the owner of DHLC Investments, a Texas-based hard money lender that has funded over $100 million in residential investment loans for private investors who find, fix, and flip prime real estate for profit. The company offers rehabbers loans with no minimum down payment or pre-payment penalties, making them a great choice for any private real estate rehabbers. DHLC Investments targets major Texas metropolitan areas such as Dallas, Fort Worth, Austin, San Antonio, and Houston. Visit DHLC.com to learn more about what DHLC Investments can do for you. Entry to the Real Estate Expo is free for all guests, but space for entry is limited; in addition to general admission, the Expo is also selling VIP tickets that offer prime seating and complimentary merchandise. In addition to the ticket sales, the Real Estate Expo is inviting all guests to make a monetary donation of any size to the Salvation Army. Don’t miss Rob Barney’s talk on “Rehabbing with Hard Money: The Power of Leverage!” More information on tickets and other details for the Lone Star Real Estate Expo can be found at their website.